Congratulations! You win 46 bonus points with this purchase! I stick to this product as I have found it very good for my needs. The cases are sturdy and good for use when travelling too. I use Solocare Aqua I'm new with this product but happy. I am using this brand for years that`s why I was looking for this one. I have found the best price at Lentiamo. daily cleansing of contact lenses. Quality of the product is excellent! I would recommend the Solocare Aqua to people with sensitive eyes. 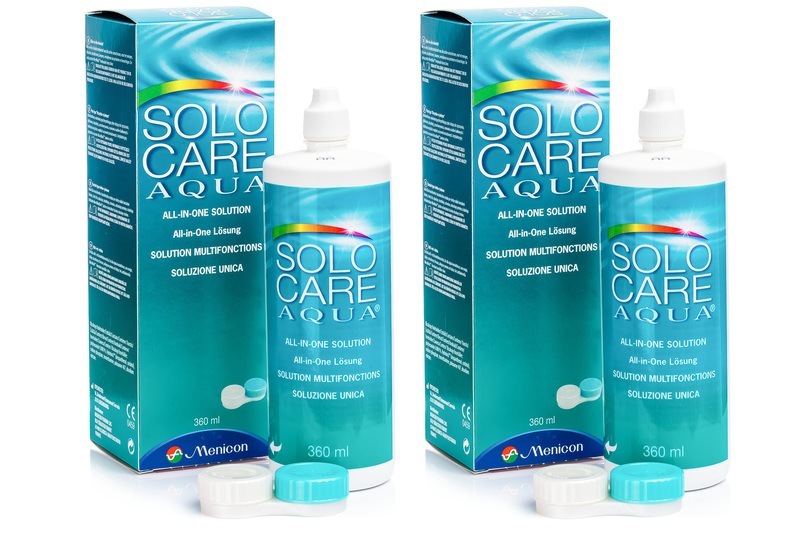 I have used the Solocare Aqua about 12 years and this is the BEST! Me and my eyes are so happy with this solution !! !